Prince George, B.C. 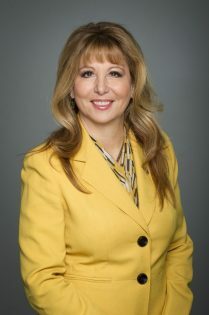 – The Member of Parliament for South Surrey-White Rock, Dianne Watts, has announced she is getting out of federal politics to seek the leadership of the BC Liberal Party. At a news conference in Vancouver Sunday afternoon the 57-year-old Watts said she will resign as Conservative MP immediately to enter the provincial political fray. Watts served as a Councillor in Surrey before being elected Mayor of the municipality and serving three terms in that capacity. She was elected to serve in parliament in 2015 and was the Opposition critic for Employment, Workforce Development and Labour. Christy Clark quit as the leader of the BC Liberals in August. The party has been running under the direction of interim leader Rich Coleman since then. Watts is expected to face competition for the leader’s post from the likes of Mike de Jong, Todd Stone, Andrew Wilkinson, Sam Sullivan, Mike Bernier and Michael Lee. B.C. Liberal members will vote on a new leader Feb 1st, 2nd and 3rd, 2018. They can either vote online or by telephone. It is too bad she has to quit federal to run provincial. Should be able to stay federal if she doesn’t win the leadership race. Nonsense! If you leave a job to pursue another one there’s no way your old job should be held for you just in case you can’t hack the new venture. I hope she wins . She’s perfect . A Harper conservative come so called liberal . More baggage than would fit in a fifties Cadillac trunk . Ataloss. I thought you would love her. How many Watts will it take to run all your electrical dreams.?? You’re probably right but it doesn’t take a bright bulb to see that we will be force fed this latter day harperette . Those far away stares of hers while sitting in the house next to Rona ? She must have been thinking ” I was supposed to be sitting next to Steve ” . ” I was going to be his Surrey Girl in Ottawa ” …… Oh well , they’ll give her BC as a consolation prize . Better luck next time . Anybody that could run Surrey (being an explosively growing municipality with its numerous growing pains) like she could has my vote! Sullivan was good, but she has paid her dues. My brother lives in Surrey and he is particular on who he voted for, and she was his vote! She has my vote! Could be she could pull some of the votes down there back to the Liberal side of things, gonna be interesting. She would do a great job! The BCLiberal party actually elected more MLAs than either the NDP of the Greens! She would be taking over a party that did not suffer a defeat in the last election! Great starting point! Dream on. If they never suffered a defeat how did they end up in opposition. Talk about trying to put a positive **spin** on a complete loss by the Liberals. Running the province is much different than running a city. Remember what ex-Vancouver mayor Gordon Campbell did to decimate BC when he was premier? Selling off BC Rail, the ill-fated HST, etc. Watts has already shown her true colours when she moved the Surrey City Hall from 56th Avenue up to “Surrey Central” in a boondoggle of a new very expensive building that was totally unneeded. She could not get a handle on the crime or the drug problems in Surrey as she busily pandered to property developers. Yah, but! She probably has a lot of influence in the NDP ridings. Check the crime stats on Surrey, nobody can get a handle on this crime ridden area. Going back to the mid 70s I knew members that were stationed there and could not get transferred out of there, they eventually quit! She has proven her worth, and has more ‘moxy’ then Campbell ever had. If anybody can at least get Liberals back on par she would be a positive aspect? My own opinion of course. check the crime stats on PG Its number one. Sounds like another Christy Clark liberal parry.. Learn the facts for yourself before you believe what lies they are trying to sell you. Not because of who your brother voted for. At least she showed progress! So your turn to throw some fuel to the fire. You disagree with my comment yet you support digger in a vague way, at least I was being specific! All politicians do weird things, she is no different, but she did better than the other Surrey Mayors by trying to move forward. Too bad she wouldn’t run for mayor in PG, be interesting. As for the crime statement I am being specific, you check on the history instead of supporting somebody else with a vague post! Of course they do, like all human beings they are not perfect! I vividly remember the dismal NDP decade of the nineties when the NDP government went through four (or five) different premiers! Strategically, Watts makes sense to head the BC Liberals. Taking back two or three of the Surrey seats would be enough to give them another majority. I so laugh at the posters here. They all seem to be the ppl who have the correct answer. The Liberals will decide the answer of the next “Leader”. Not you . “250” out at the end of the month? Probably a good thing. The haters and rednecks will be out of business. So you believe only spoiled progressives like yourself should be allowed to comment. Democracy is an irritant for progressives. “250” will be remembered by many as the only forum where one could express an opinion without having to fear to have one’s tires slashed! Not so! They will not be out of “business” as you believe, they will just keep doing their thing elsewhere. Also just like Gordon Campbell she is a drunk driver. Don’t forget how she ran her Cadillac Escalade into an innocent couple’s car and severely injured them. Then the Surrey RCMP tried to sweep it under the carpet and Watts tried to blame the victims she hit. It was settled out of court and Watts ultimately got off with no charges. That’s just a handbag compared the the rest of her baggage . There are some serious accusations being made. If she was in fact impaired, she would have blown over the limit. Did the RCMP fail to administer a breath analyzer test? You don’t know. The RCMP is accused of having tried to sweep it under the carpet? To sweep what under the carpet? Its failure to administer the test? That would be the fault of the RCMP. How do you know the other driver was innocent and not at fault? You don’t. I know of people who also settled civil lawsuits out of court. It does not automatically mean that they were guilty of anything. Usually they just want to get on with their lives.